Microsoft has been touting the educational value of Windows 7 for teachers this week, at the annual National Educational Computing Conference (NECC) 2009 in Washington. In addition to Windows 7 "education-friendly features" Microsoft has also been shouting about a new collaborative initiative between the Microsoft Innovative Teachers Network (ITN) and the Smithsonian Center for Education and Museum Studies. "Technology can help educators gain more insight into individual students' needs and relevant ways to support them, connect and collaborate with students, parents and peers, and improve outcomes to generate and use best practices," according to L Michael Golden, Microsoft's Corporate VP for Education. 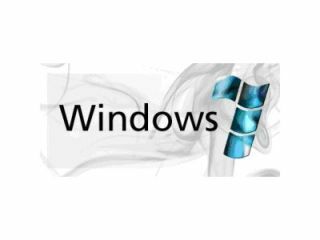 Microsoft hopes that Windows 7 improved multitouch features "will facilitate new methods and ways to interact with data, lessons plans, and Web pages… using gestures, handwriting or voice commands." "I am really impressed with the performance - the decreased memory and processing usage. I'm able to get more out of the PCs we already own," said Bill Mierisch, director of Technology, Catherine Cook School in Chicago. "Because Windows 7 is a smaller footprint, I won't have to invest in extra RAM, and I will be able to deliver more services to students and teachers such as multimedia programs, audio and graphics manipulation because the operating system isn't using all the juice." Meanwhile, Stephanie Norby, Director of the Smithsonian Center for Education and Museum Studies, also adds that they "are excited to work with Microsoft to disseminate the museum's content and make it easily accessible to an even broader audience of educators." "With many school districts discontinuing traditional print textbooks and moving to digital content, the opportunity to more broadly distribute online content that is engaging and flexible is very interesting to us." Teachers and educators wanting to know more on Microsoft's hook up with the Smithsonian Center for Education and Museum Studies can head over to www.SmithsonianEducation.org/Climate. Further info on Microsoft's latest free tools and resources for teachers is also available over at www.microsoft.com/education/teachers/default.aspx.